The next issue will be issued on 19 December 2017. 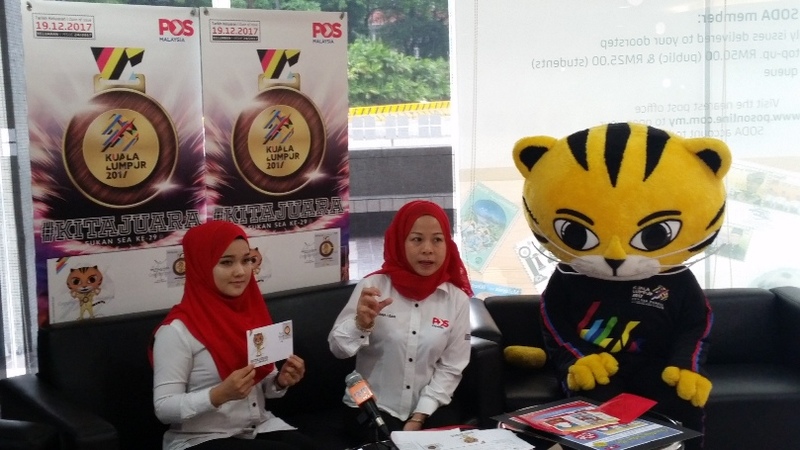 The topic is #KitaJuara (We are the Champions) for the 29th SEA Games held in Kuala Lumpur earlier this year. 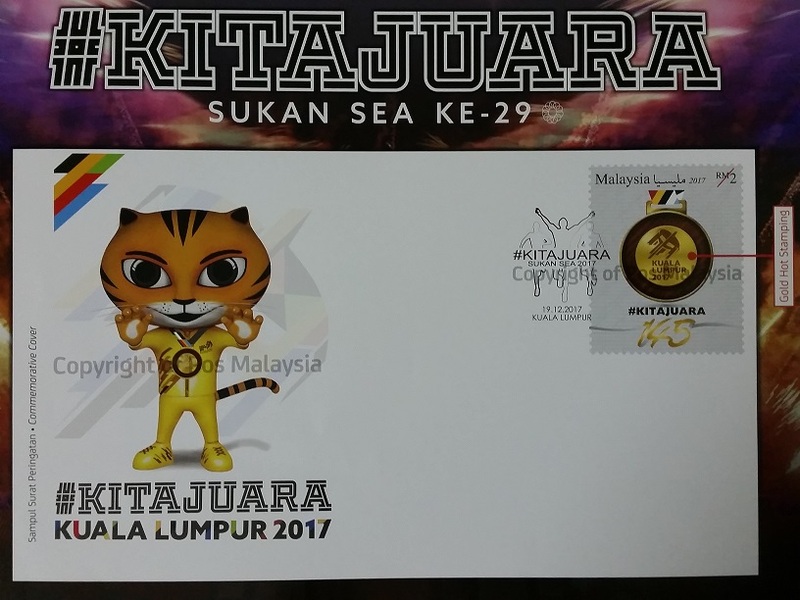 It will be just a single Pre-Stamped Envelope (PSE) with a gold foil stamping on a pre-printed RM 2 stamp. The PSE will be sold at RM 3.00 The price is excluding GST. A media preview was held on 15 December 2017. The designer from World Comm will be attending. The quantities issued are 25,000 pieces of PSE. I would like to add the Gold Foil effect is really well done. You do feel the medal effect!